Designed to properly align the big toe by applying correction in three directions. 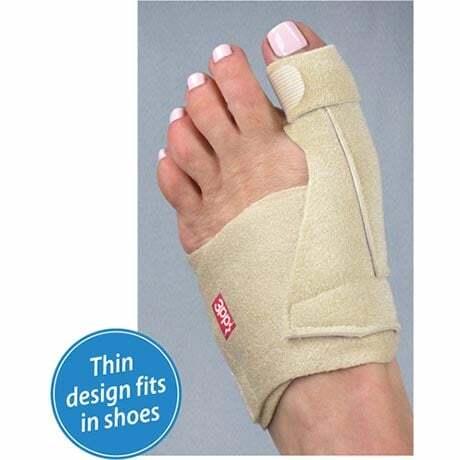 Promotes permanent relief by stretching tight tendons and muscles while stabilizing the toe for maximum comfort. Soft, foam-lined nylon/spandex material helps soothe irritation. Latex-free. Hand wash. Fits either foot. One size. Imported. Set of 2.